We could mention many success cases of residents who have become real millionaires thanks to Second life. Or even of successful virtual relationships which changed the lives of real people in a very positive way. However, today we will go further and we will be addressing amazing uses of Second Life that have great impact in Real Life. This virtual platform is very effective when it comes to creating campaigns to help people plagued by natural disasters or to raising funds for the underprivileged to ensure their basic needs. In this global platform it becomes easier to reach new targets and appeal to the hearts of residents and involve them in noble causes. Either as an act of altruism or selfishness, the truth is that the volunteer also benefits from a fantastic feeling that he/she is doing a good deed. 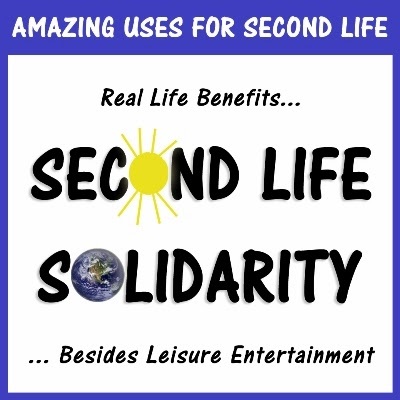 There are communities in Second Life that stand for a common paradigm: breaking personal, physical, mental, educational and social barriers for a better quality of life. Associations and social charities open new virtual horizons and invest in resources to raise awareness and funds for their causes. Relay For Life, for example, has an immense human machine mounted for success. Thousands of dollars raised yearly are the fruit of a collective effort and commitment, benefiting billions of people in RL in the fight against cancer. But there is a niche of users who directly and immediately benefit from the use of this platform: individuals with neurological disorders, such as Autism, Asperger's or even social anxiety, among many other real diseases here virtually represented. 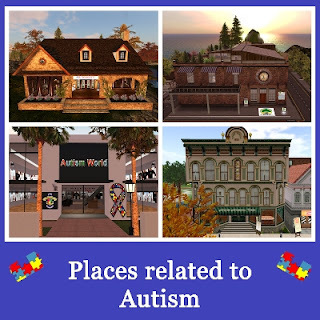 Being social interaction a great issue for people on the spectrum, for the lack of ability to conduct face-to-face interaction the way most people can, Second Life becomes a useful tool to create safe environments that facilitate socialization. When behind an avatar, the tics and physical expressions that are characteristic to Asperger’s and that disrupt the communication do not apply. Adding to that, writing communication is less stressful than face-to face. Again, through the avatar the person creates his/her own pace and controls the interaction. Social anxiety is a disorder that also creates unease, fear of public speaking or fear of what others think of her/him. Again this virtual world is an amazing tool for the treatment process, facilitating communication, socialization and increasing self-esteem. Second Life is therapeutic because we can exorcise our monsters in the virtual environment. But by using this application to communicate with strangers we have to consider that we may be interacting with people who struggle with disorders or diseases. Here is an appeal to tolerance and patience. 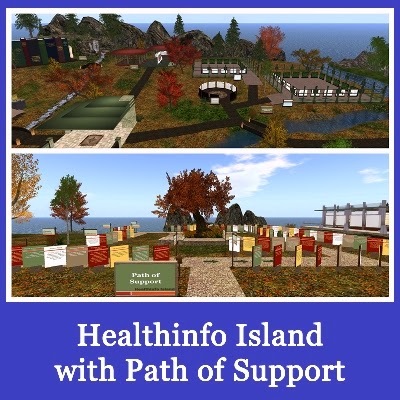 The beauty of Second Life is that you can always find a helping hand or a friendly word in communities or support groups where people are engaged in improving people’s quality of life. Whatever your cause, you will find several venues on the grid where you can find lots of useful information, and where caretakers, family and friends can get support. Guardian Spirit, and its parent company GTS, Inc. exists to provide a safe place to network, socialize, ask for advice, and facilitate a healthy community for those on the spectrum as well as those who aren't. 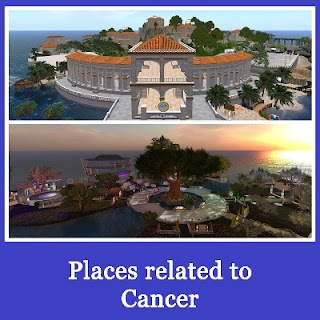 “SL's Cancer Caregivers is a sister group of the ACS Cancer Survivors Network (formerly SL's Cancer Survivors) and has been formed for all caregivers and supporters of those who are living with or have survived cancer in real life”. 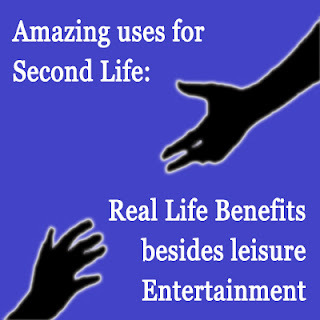 There are for sure other uses of Second life that benefit real life. We would like you to share your own experiences in this subject with us.